SILVER SRPING, MD — After much deliberation, forecasters from the National Weather Service finally settled on a name for the winter storm currently afflicting the New England area. 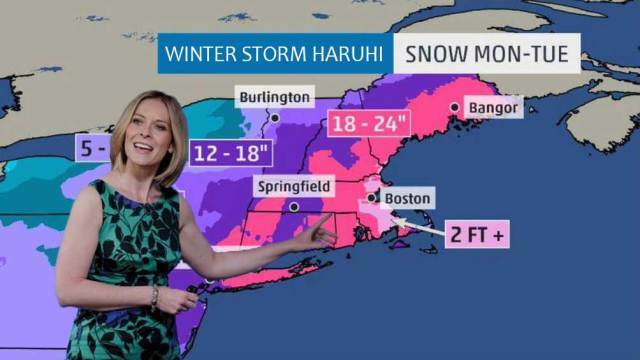 Although early reports have claimed that the name is Juno, officials have confirmed that the blizzard has been re-designated Winter Storm Haruhi. The storm is predicted to be one of the biggest in recent memory. Schools, jobs, and bordellos are already being shut down all over the East Coast in preparation for Haruhi. Rations are scarce, mothers cling to their children in the vain hope that they’ll be spared, and dogs will go unwalked. Not all have been as receptive of the sudden name change. Fans of the anime The Melancholy of Haruhi Suzumiya claim that it is offensive to their one true waifu. However, mainstream media could care less what a bunch of kissless virgins think. If there’s one thing that everyone can agree on, it’s that we hope to see a Disappearance of Storm Haruhi Suzumiya.